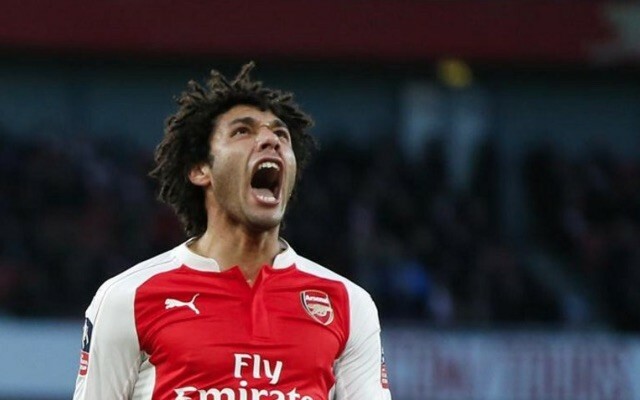 Arsene Wenger has made a massive call by handing Mohamed Elneny a full Premier League debut for Arsenal’s crucial clash with Tottenham Hotspur this afternoon. The £5m January signing is thrown into the fire of a potentially title-deciding North London derby on the back of two FA Cup starts and 20 minutes against Manchester United. Joel Campbell is sacrificed for the Egyptian international to reinforce the midfield. Danny Welbeck is preferred to Olivier Giroud and Theo Walcott as the Gunners’ striker. As Wenger confirmed earlier this week, both Petr Cech and Laurent Koscielny miss the fixture, while Nacho Monreal is dropped to the bench in favour of Kieran Gibbs. Gibbs scored the equaliser in November’s 1-1 draw between the two sides at the Emirates, but Monreal’s absence means that Arsenal are missing three of their first-choice back five. In contrast, Spurs are able to name near enough their strongest side, with midfielders Mousa Dembele and Dele Alli passed fit to feature from the off at White Hart Lane. Full-backs Danny Rose and Kyle Walker return after the 1-0 loss at West Ham United. Defender Jan Vertonghen is the only first-team regular missing for Mauricio Pochettino. Tottenham will go six points clear of their local rivals in the Premier League title race, and go above Leicester City on goal difference at the top of the table, with victory.